Single player games can transport you into fantastic worlds and tell incredible stories. What could be better than sharing these experiences with your friends? Unfortunately, multiplayer programming is one of the more demanding tasks in the life of a game developer, and your game will succeed or break with the network code. ShiVa offers many tools to help you design multi-user applications. Over the next few weeks, this tutorial series will guide you through many of them, explain the API and concepts behind them, and provide useful code snippets you can reuse in your own programs. Let's get started! Back in the ShiVa 1.9 days, we offered a separate download for the ShiVa Server. A couple of ShiVa 2.0 betas ago, we decided to include our Server binaries in the regular ShiVa 2.0 Editor distribution package. You can find both GUI (with graphical user interface) and CLI (command-line text output) versions as well as their starter scripts (Linux) in the ShiVa Editor directory. While early server binaries relied on the Editor for software registration and licensing, we are happy to announce that ShiVa Server no longer requires activation, at least for the beta period. Our 1.9 Server was a completely different product and did not rely on a 1.9 Editor installation in any way. This has also changed. The 2.0 Server relies heavily on libraries that come bundled with the Editor. The size of the standard installation has therefor grown from a few MB to several GB. Fortunately, the majority of that are engines and platform-specific libraries you will never use in a server environment. You can safely remove the Data/Authoring directory to recover around 3GB of storage space. There are actually two different ways to program a client-server application in ShiVa. The first method lets you connect directly to an instance of the game running on another device, which pulls double duty as a server and as a client for the player gaming on the device. This style of multiplayer can be found in most older shooters like Quake or Counter-Strike. 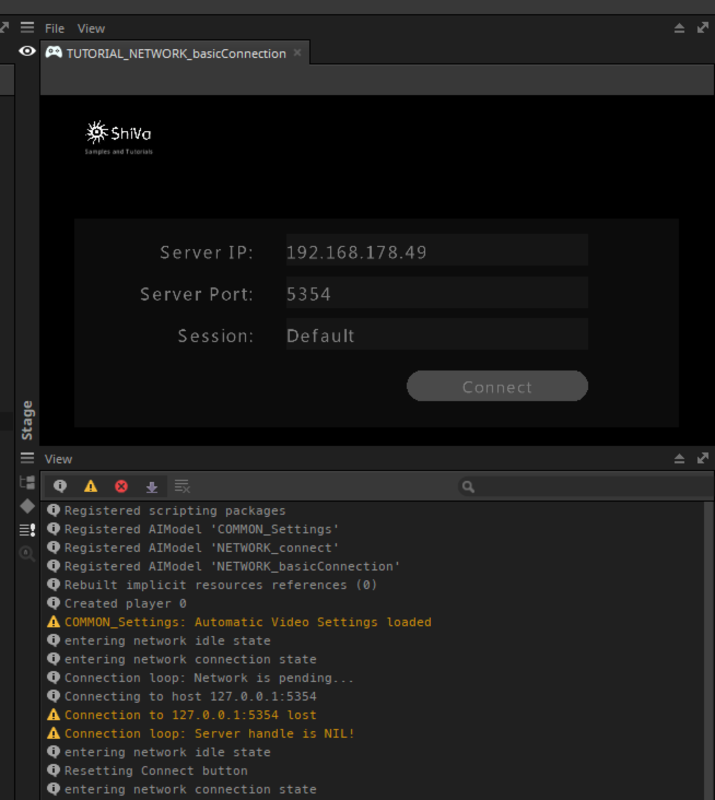 It often requires a masterserver to which new clients connect first, which stores a list of all currently active servers, their IPs, game info etc. The second method relies on an instance of the ShiVa Server binary running on a local or remote machine as a background process. This is often called a "dedicated server". They are often run on low power, lower performance, remote machines due to the low impact of processing power these dedicated servers have, since none of the game's content and graphics are actually computed or rendered on the dedicated server. This tutorial will deal primarily with the latter style of servers. Furthermore, Linux is by far the operating system you are most likely to encounter when getting your own remote server, followed by Windows. The tutorial will reflect that and focus on dedicated servers running on a Linux machine in CLI mode. 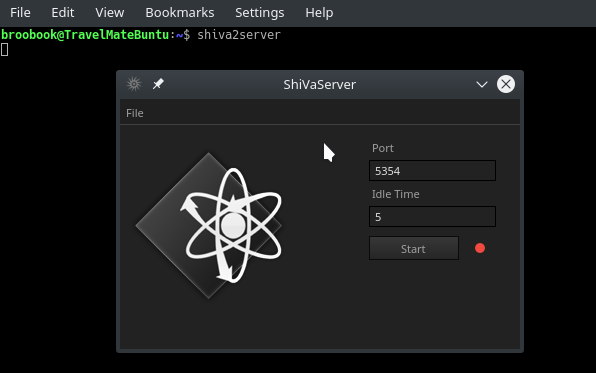 As you already know, ShiVa 2.0 Server is included in the Editor distribution package. Download the ShiVa 2.0 installer/beta archive from our website, unpack/install it on your target machine, and reclaim some space by removing the Authoring directory, as we previously mentioned. The GUI server may seem like the easiest option. Most remote linux servers do not offer a graphical frontend however. Besides, the GUI currently does not offer a real-time logging display which makes it very easy to diagnose problems. All network communication must run through dedicated ports. 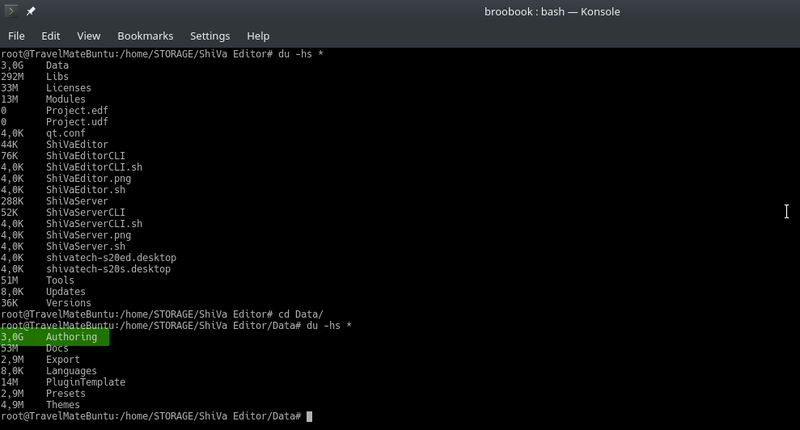 By default, ShiVa Server is running on port 5354 (tcp), however this can be changed easily through the --port option. Each network service on a machine must have its own port. 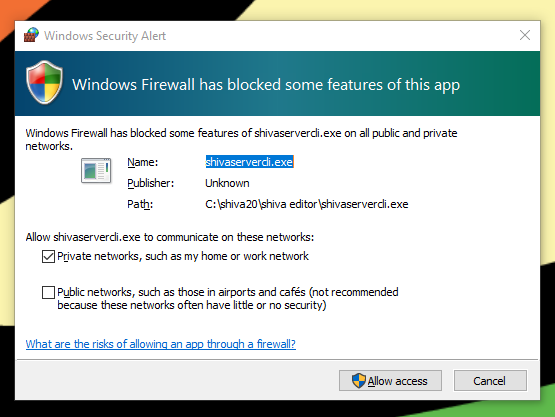 Make sure you are not trying to open a ShiVa Server on a port that is already used by a network service, such as the neighbouring 5355. A handy list of commonly used ports can be found on wikipedia. On Linux however, you will most likely get nothing of the sort, and your clients simply won’t be able to connect. The easiest way to get around this is by running the ShiVa Server as root. To keep the network traffic low, try to modify the tickrate to a ms value that corresponds to your style of game. A 10ms tickrate allows for 100fps split second reaction gameplay like you would normally find on a shooter, 20ms would correspond to 50 fps and most third person action adventures, while 40ms to 25 fps which could be enough for real time strategy, chat applications, and turn-based games. 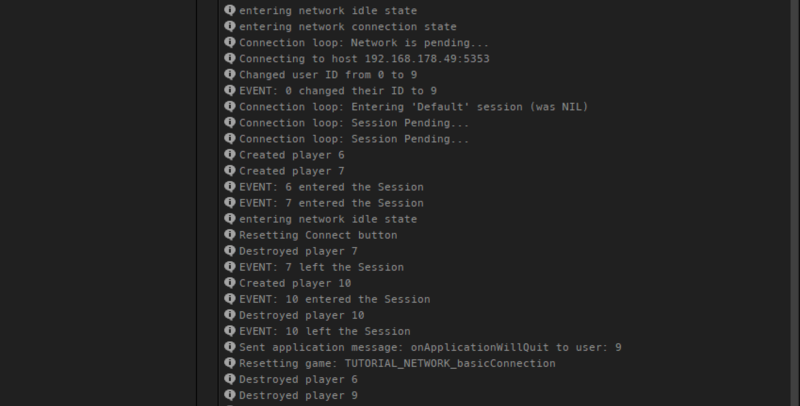 You can lock your game to a certain appID, so other ShiVa multiplayer games cannot accidentally connect to your server. You can find the appID for your game in the game's Properties panel. A username/password system on the other hand would have to be integrated on the game code level. To check the IP of your server machine, you can run ipconfig (windows) or ifconfig (linux) and keep looking for an IP4-style IP address. Our server is now running and waiting for connections. Clients will first have to find the machine running the ShiVa Server through its IP and port, then join (or create) a session on the server. To identify each user, they will receive a unique ID as soon as they connect. After they have connected, players can optionally join a scene. This sample would not work properly without a way to enter the port and IP, so we will have to construct a simple HUD with these components and a button to attempt the connection. The additional Session edit box is there for next week, so don’t worry about it right now. We highly recommend keeping the UI code in a separate AI from the connection AI, so you can re-use individual parts later on and in other games. This introduces a few problems however. You need to send events between those two AIs, which increases complexity, and you need to share some information about the state of e.g. the connection, the connection button, or the user input. Furthermore, the AI names may not change, otherwise your events will not reach their intended target. But these problems are nothing a few control strings which store e.g. the variable names and a generic AIModel name search loop cannot solve. Congratulations, you just made your first network connection with ShiVa Server!